This classy carry-on travel piece can take a beating and go round and round with wherever your travels take you. 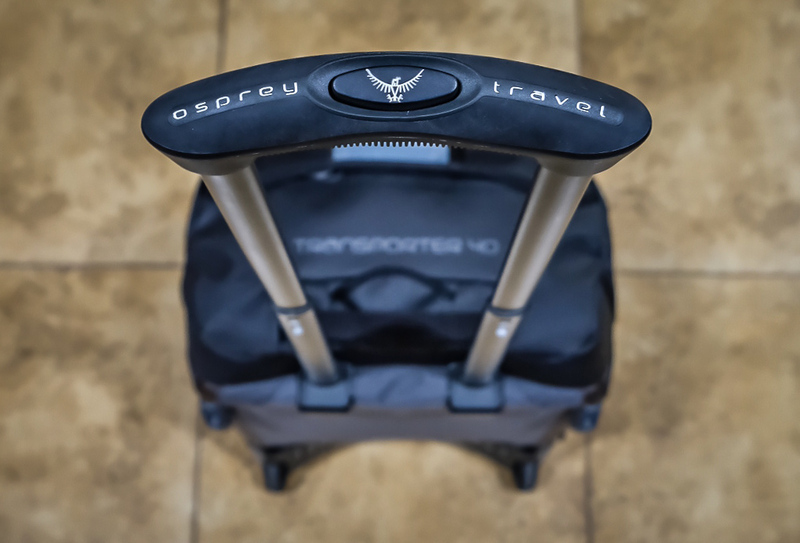 The Osprey Transporter Wheeled Duffel 40 liter: burly luggage ready for anything. Photo by Brandon Mathis. We don’t need much. We never fly first class, never pay for an upgrade from coach and never check a bag. But one thing we do like is to be able to take a load off – literally – and give our backs a break. 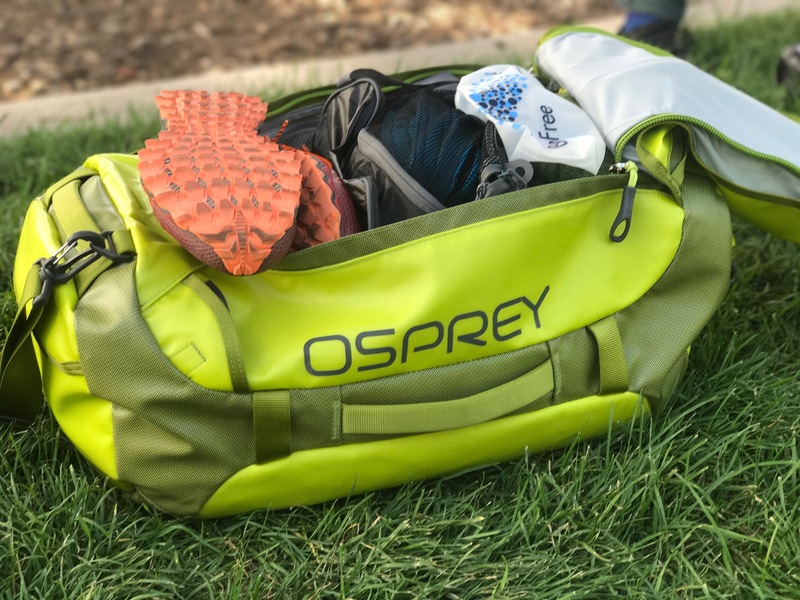 When Osprey Packs unleashed what was destined to become a favorite, the thermoplastic polyurethane Transporter Duffel, we nabbed one and fell in love. We have tossed our Transporter in car trunks, dragged it through the desert loaded with climbing gear, slept on it on metro trains in the city and flown with it all over the country delightfully stuffing it into overhead compartments with ease. We never thought we’d see it better. Until Osprey put wheels on it. 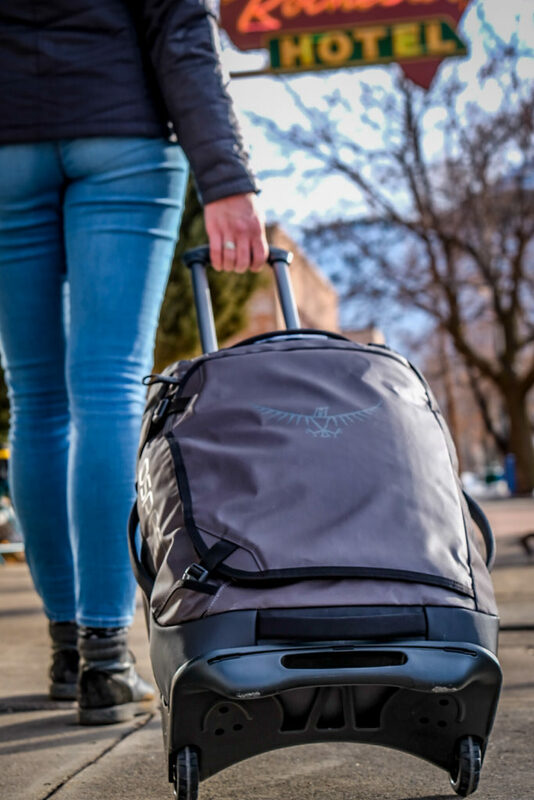 Osprey ramped up their Transporter series duffels with wheels, a robust frame and a handle to help take the load off your back. Photo By Brandon Mathis. OK, so it’s not exactly the same duffel, but it’s pretty close. 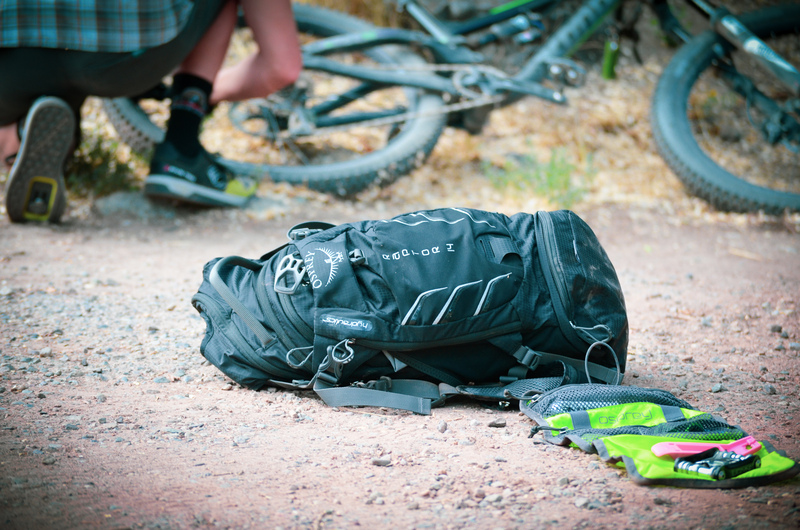 According to Osprey, they simply built on to the Transporter Duffel by adding a lightweight frame, handle and wheels. It is made with the same bomber TPU coated 1000 denier nylon fabric that we know is sturdy. The oversized #10 zippers are armed with rain flaps to guard against the elements, and everywhere you reach there is a nice big handle. 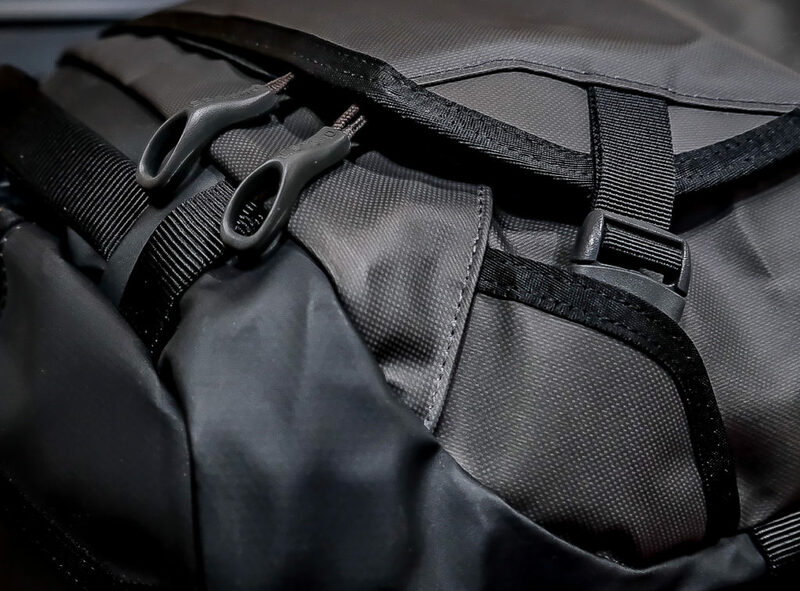 Tough denier nylon-coated with a thermoplastic polyurethane make the Transporter Wheeled Duffel stout and ready for anything. Oversized zippers are lockable and easy to manage, and storm flaps keep the elements out. Photo by Brandon Mathis. 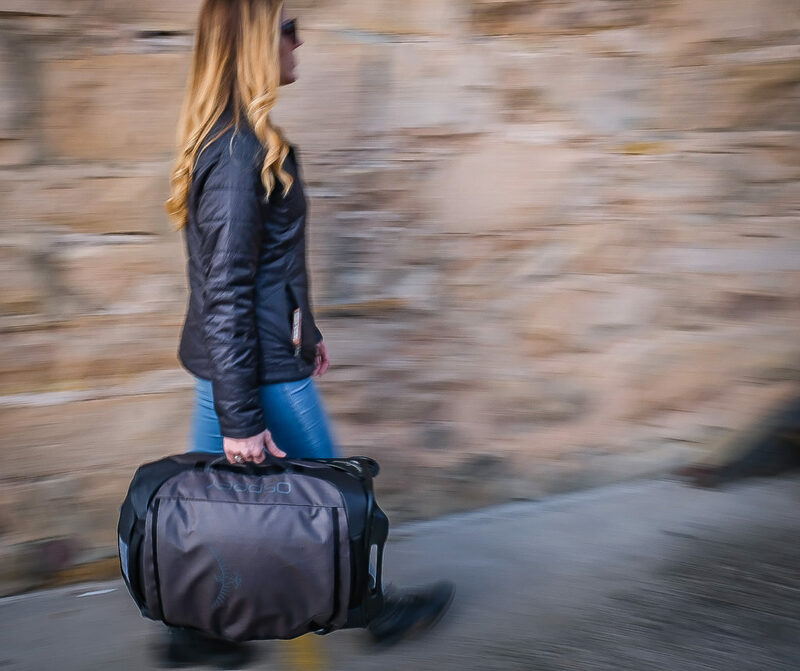 While the Transporter Duffel morphed from backpack to duffel and back again, the Wheeled Duffel stays in character with a robust set of wheels built on the aluminum frame, and the stow-away handle is a game changer. Not only is it a relief to pull (not haul), it’s plenty burly for whatever you have in store for it. The term “off-road roller” comes to mind. They call it the High Road Chassis, and you can pull it down a dirt road, through ice and snow, toss it in the Uber and it still glides silently down the terminal. 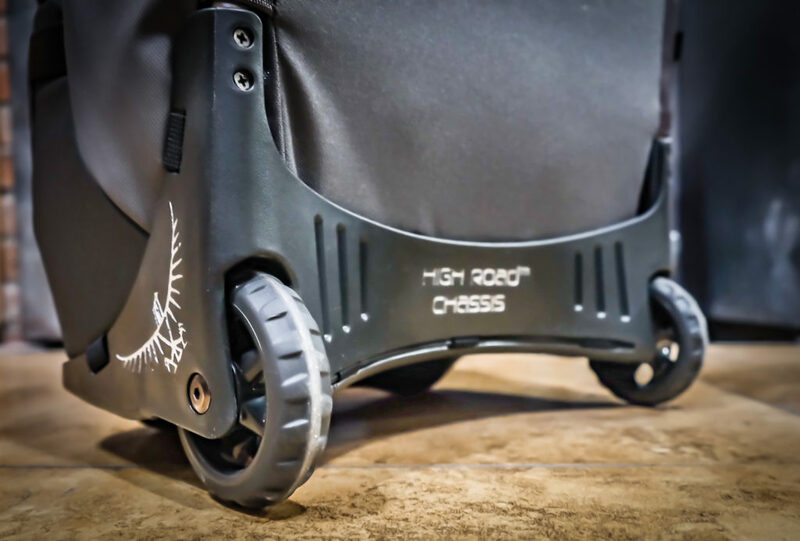 The High Road Chassis gives the Transporter Wheeled Duffel a smooth and solid ride. Photo by Brandon Mathis. Inside the giant wide-mouth opening is a large 40-liter compartment, ideal for short trips and longer if you’re savvy with packing. 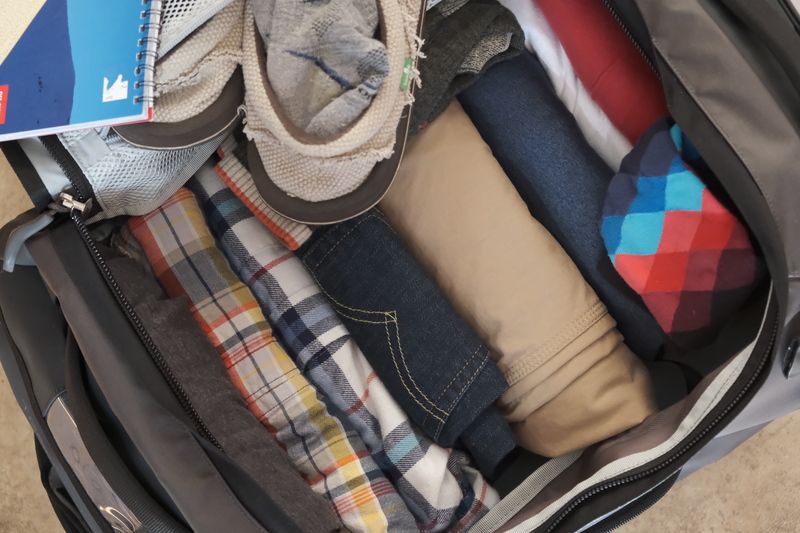 A large mesh pocket is good for quick-grab items or even packable shoes. Adjustable compression straps can hold everything in place. Outside there is a separate business card slot and an external zipper pocket. 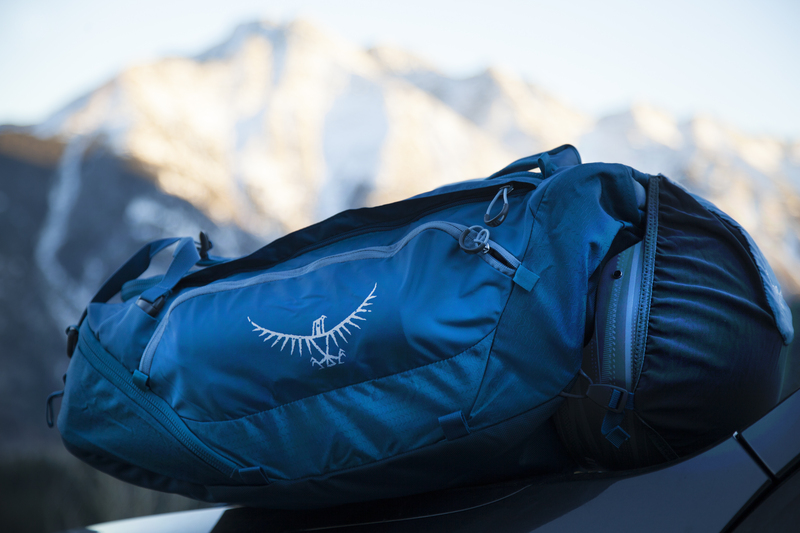 Some Osprey bags come with stow away backpack straps, and while it would be cool to see that on the Transporter Wheeled Duffel, the genuine beauty of this piece is that you don’t have to carry it on your back. Ever. 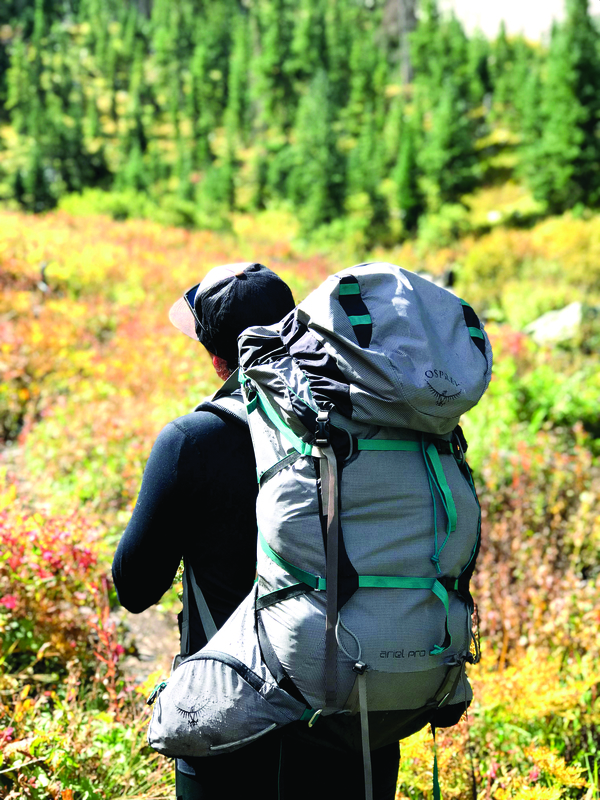 The Osprey Transporter Wheeled Duffel is available in 120, 90 and a 40 liters. For carry-on and quick travel, the 40 liter is the best option. Photo by Brandon Mathis. For everything but camp and travel trailer life, especially anything with air travel and lots of walking, this is now our go-to travel piece.